This is groundbreaking: A new legislative act aims to bring postpartum depression to light. For so many women, postpartum depression is a silent struggle. There are few opportunities to discuss the condition—despite the fact that celebrities like Adele, Hayden Panettiere and Drew Barrymore have brought the conversation to the masses. Because of this and subpar screening protocols, many women might be suffering without actually knowing that it's postpartum depression. But that might be changing: New legislation aims to improve awareness, screening and treatment surrouning postpartum depression. Congresswoman Katherine M. Clark, who introduced the bill, announced it had passed in the House of Representatives on November 30, and it passed the Senate yesterday. 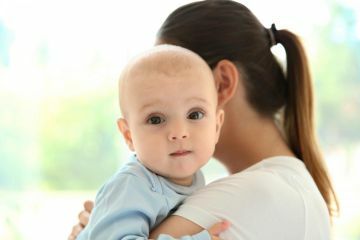 It's known as the "Bringing Postpartum Depression Out of the Shadows Act," and under it, federal grants will go towards development and maintenance of programs to support postpartum sufferers. The statistics surrounding postpartum depression are staggering: Hundreds of thousands of women are affected every day, yet only about 15 percent are treated, according to Postpartum Progress. According to the news release, the bill has received support from several medical organizations as well, including the American Academy of Pediatrics, the American Congress of Obstetricians and the March of Dimes, among others.